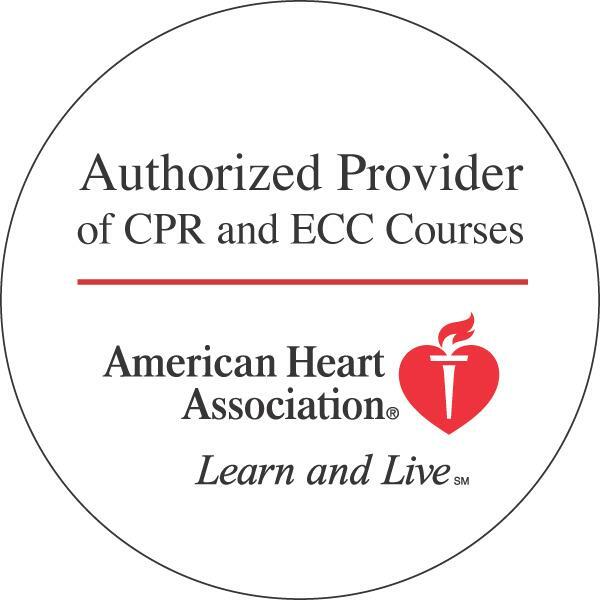 For American Heart Association courses that include psychomotor skills such as CPR, students must complete an in-person skills practice and testing session to obtain an AHA course completion card. With AHA Blended Learning, the skills practice and skills test are taken together during a Hands-on Skills Session after the student completes the eLearning portion online. Skills Sessions are conducted by authorized AHA Instructors, or, in the case of HeartCode® courses, students can conduct the in-person skills practice and testing on a voice-assisted Manikin (VAM). The VAM serves as the Instructor and precisely measures the learner’s proper execution of the necessary psychomotor skills. Fee Disclaimer: Fees for the courses does not represent income to the American Heart Association.